The Cork Person of the Year Awards 2013. 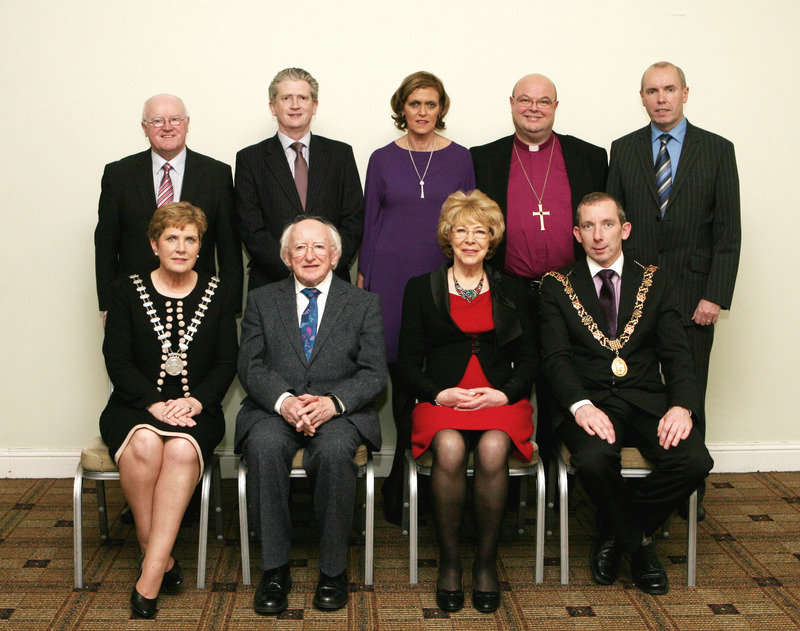 Pictured following the awards luncheon at the Rochestown Park Hotel are front row (l-r) Cllr Barbara Murray, Mayor of Cork County; The President of Ireland, Michael D. Higgins; Sabina Higgins; Cllr John Buttimer, Lord Mayor of Cork; and back row (l-r) Tony O’Connell (Tony O’Connell Photography); Martin Riordan, Cork County Manager; Geraldine O’Leary, Commercial Director, RTE Television; Bishop Paul Colton; and Tim Lucey, Cork City Manager. This entry was posted in Bishop, Church in Society, Community Involvement, Cork, Diocese. Bookmark the permalink.